Now, … the question of ‘How to Perfume Shoes?’ goes ‘hand in hand’ ( or should it be ‘foot in hand’… ) with ‘Smelly Shoes’ in your home. 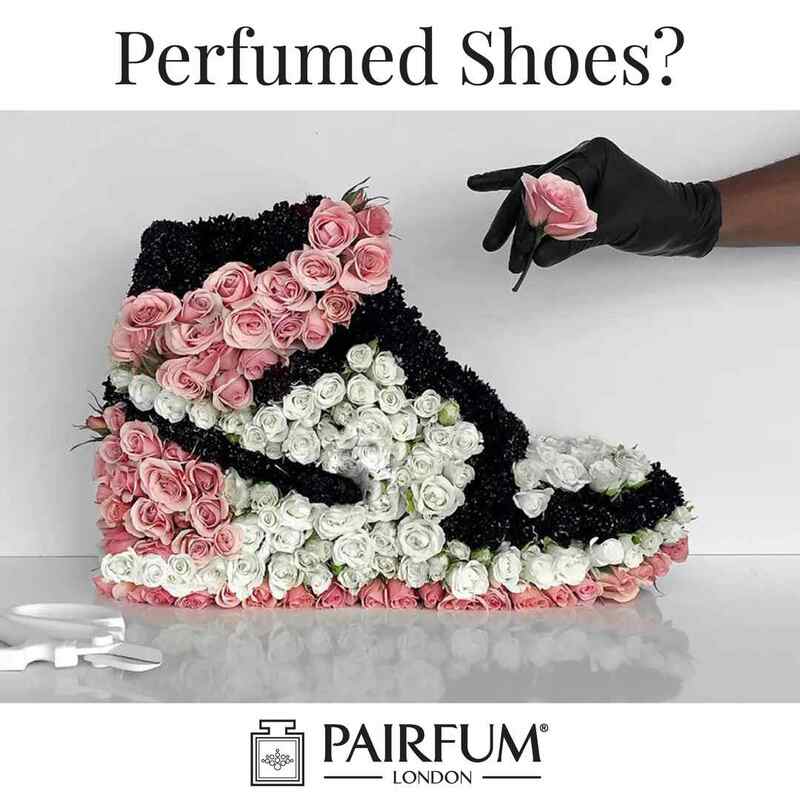 I know, it does not sound beautiful ( and here at Pairfum we are about beautiful Artisan Perfumes ) – but sadly ‘smelly shoes’ are a reality of life, which is why we believe that a solution to this issue will be welcomed by all. Below you can see the two solutions we have for you! The New York based artist Mr. Flower Fantastic has turned sneakers into floral bouquets. This is the incredible artist, that turned the Serena Williams’ air max 97 into a floral masterpiece during the US open. He has made a name for combining Floristry, Sculpture and some people’s must have sneakers, into a Shoe-Bouquet. It is a fantastic arrangement of buds of varying colours and sizes in the form of an item so familiar to us as footwear. He uses roses, tulips, orchids, lilies, carnations and a variety of other flowers from across the World: from the Caribbean, the Middle-East and Holland, to North and South America. 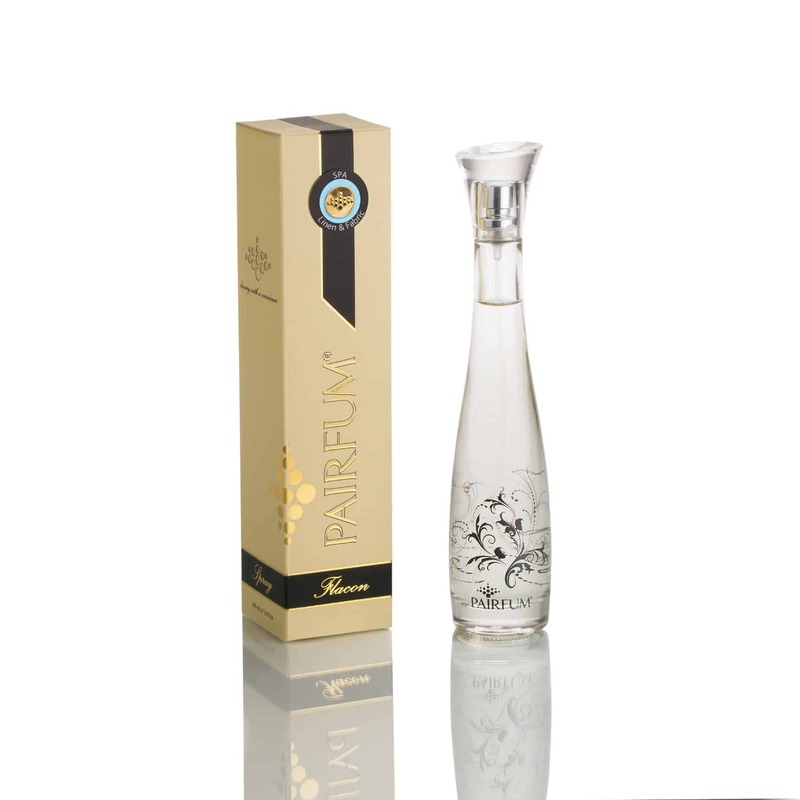 Then we here at PAIRFUM London, have the perfect solution for you: one of our Natural Linen Perfume Sprays. These sprays are designed to be used on fabrics, they will cause no damage, are long lasting and the natural alcohol used is an excellent disinfectant. You simply take one of our beautiful Flacon bottles, and spray once or twice into the inside of the shoe. The nozzle on the bottle is designed to create a very fine mist to cover the inside of the shoe evenly and finely. You are then ready to slip on your shoes, and meet the day feeling refreshed from head to toe, …. ( just could not resist the pun).